How Does Fax2Mail Internet Desktop Faxing Work? 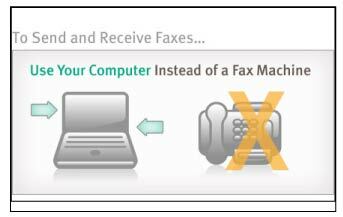 - install a “Virtual Fax Machine” to your desktop for easy faxing. 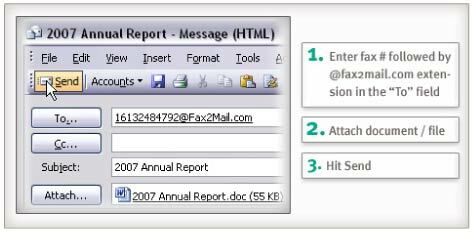 If you know how to use email, you know how to use Fax2Mail! 1. Enter the fax number followed by "@fax2mail.com" in the “To” field. For example "3035551212@fax2mail.com"
(NOTE: Fax2mail account owners have an authorized Email - your email must be “From” your authorized Fax2Mail email account). When signing up for service with E Street, E Street will assign you a local or a toll-free fax number. Porting: You also have the option to port over your existing fax number. NOTE: customers porting in Fax numbers own their numbers and can port the number back out, but NEW Fax TNs issued by E Street are owned by E Street TN vendors and cannot be ported out. You just give out your fax number like normal. When the sender faxes a document to you, it will appear in your inbox just like any other email. I'D LIKE TO DO MORE! 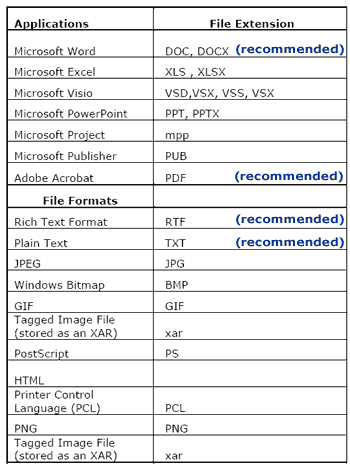 And you can ....For more advanced features and things you can do with Fax2mail Click here for the full user's guide (2.6MB PDF). 2. Enter the recipient’s information and then click “Add”. You can add multiple recipients if you’d like. 3. In the “Message Contents” section, click the icon next to “Select a document” to choose the file you’d like fax and then click “Upload”. 4. In the following section you can add a cover sheet if you’d like. 5. When ready to send the fax, scroll to the top and select “Review and Send”. Contact E Street Support on any questions with Fax2mail.